Belmont Park is a neighborhood in Schertz, Texas right off IH-35. Belmont Park mostly features good size homes mostly built by D R Horton. This is a well-established community that dates back to 2004, and construction was completed around 2012. "This is a must see! A very well maintained two story home with new front landscaping, and paint inside. An open floor plan with hardwood flooring and tile throughout the downstairs level. Covered back patio with an amazing view, along with a large master bedroom with walk in closet. Wood flooring stairway and upstairs hallway. Carpet in all bedrooms. 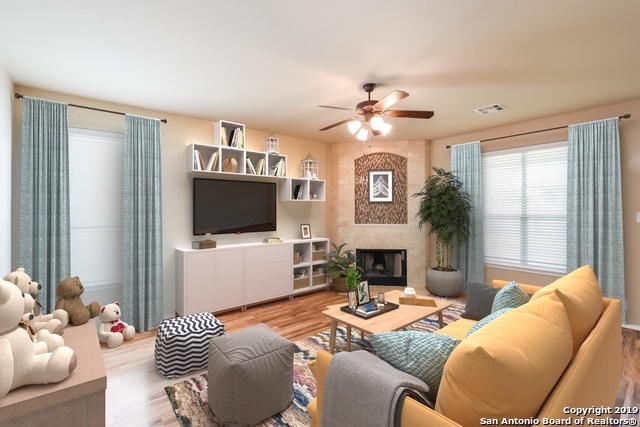 Easy access to IH 35, and new family entertainment venues. Welcome Home!" "This beautiful 3 bedroom 2.5 bath is in the highly rated Belmont Park, a neighborhood built with every detail in mind. Perfect for a country like setting but with city conveniences. This area provides amazing jogging trails, huge mature trees in the park and chilling pool to help with the Texas heat! 2 living areas, gorgeous open concept kitchen/living area and such a peaceful park like backyard. All this home needs is a new owner to add to the magic of this gem!" "Do you want to live in Schertz? 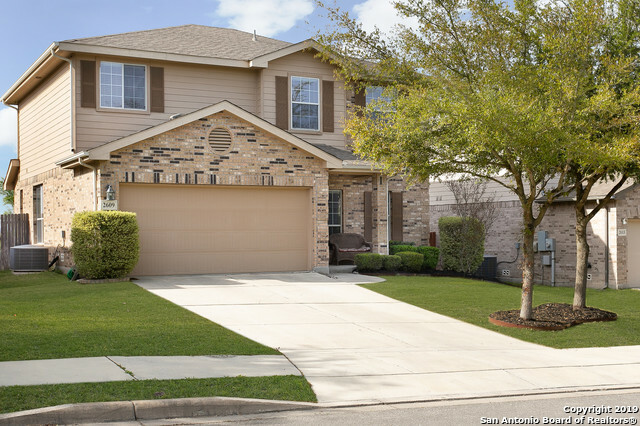 or Do you want to live in Cibolo? Well how about both! This home in Schertz has a 78108 zip code! Belmont Park is one of the best neighborhoods for those who commute! This 3 bedroom home has style and a movie room! This cream puff of a home wont last long....Come see why home is different here! New AC installed Jan. 2019"
"This is a MUST SEE Home. Submit your OFFER. Motivated Seller. MOVE-IN READY. 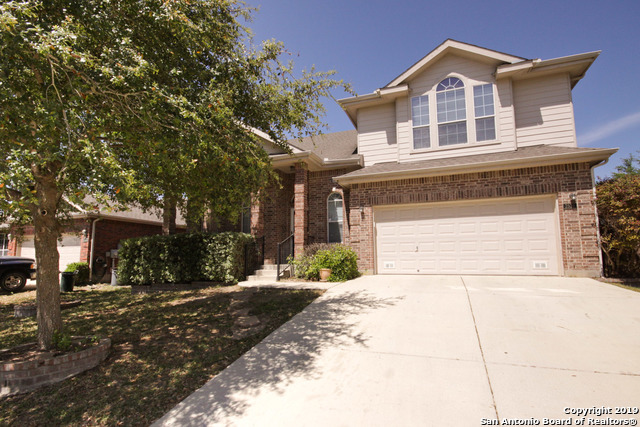 This immaculate home located in North East San Antonio area. A beautiful and maintained landscaped lawn with mature trees. Corner lot and plenty of On-Off Street parking. All appliances, Tuff Shed in the yard, water softener unit, window blinds throughout the house and the down stairs curtains (ONLY) with hardware remains. Close to all shopping desires and needs. 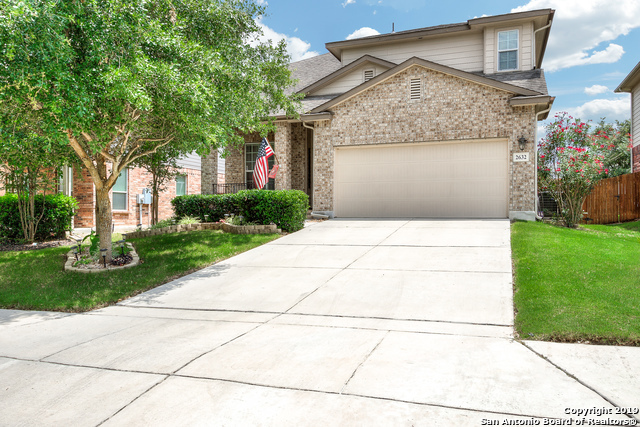 Also close to all Major Military Bases in the San Antonio"
"Built in 2006, this Schertz two-story offers a loft, a fireplace, and a two-car garage. Upgraded features include fresh interior paint and new carpet in select rooms. This home is part of the Belmont Park Homeowners Association. This home has been virtually staged to illustrate its potential! Thanks for viewing!" "Beautiful home located in the sought after Belmont Park neighborhood. Duel masters, one up and one down. Large covered patio to enjoy the outdoors, New Roof, New AC Condenser, Large Kitchen with gorgeous cabinets and all New Appliances (all remain), Surround Sound, Water Softener, Garage Storage System, Open Floor Plan. This home has it all and everything has been well maintained. Come take a look at your Move In Ready home today!" "What a GREAT floor plan~Master is down & family is up! Large combo Living and dining with high ceilings at the entrance. Very dramatic and nice; Covered wrap around patio cove off breakfast area; Nice privacy treed back yard; All new carpet throughout;5th bedroom could be excellent Media or Game room with vinyl wood plank flooring. Fun!!! 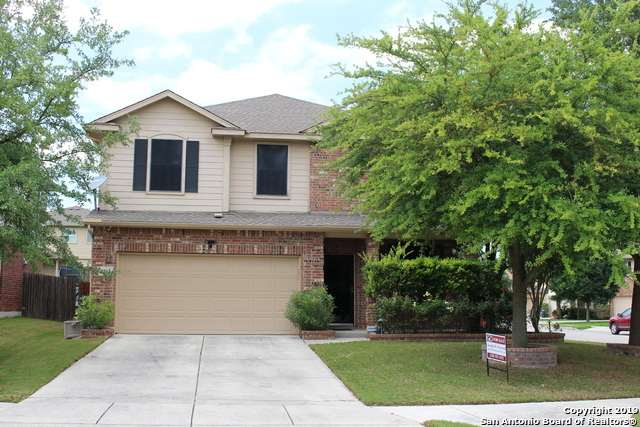 Close to Randolph ; Ih 35 to Austin; Growing area!lots of shops"
"Clean & superbly well maintained 4-bedroom home with large 16'x19' master on main level **gorgeous backyard w/ enclosed 6 person hot tub, awesome large covered patio,w// TV enclosure**Beautifully landscaped yards** drought resistant plants**8'x10' shed for all your lawn equipment** automatic front & backyard sprinkler system** clean clean clean"